On the hunt for a vicious killer, Kelsey discovers that the true threat lies closer than she could have ever imagined. It’s been months since Trent Wilcox was sentenced to exile, but Kelsey hasn’t given up on finding a way to bring him home. Grayson Sloane doesn’t share her enthusiasm. Loving two men is challenging enough without them being at each other’s throats, and she is unwilling to compromise on the future she knows is meant for them. Kelsey’s only hope for bringing them all together comes in the form of the Hell lord who insisted on Trent’s exile – Gray’s father. Lord Sloane is willing to acquiesce on Trent’s punishment if Kelsey will do one little job for him. A stray wolf is on a killing spree in Wyoming and he’s killed a number of witches in Lord Sloane’s service. The situation is made all the more complicated by the presence of a sinister werewolf cult in the area. Lupus Solum is known for being cruel to their own kind, and even worse to outsiders. 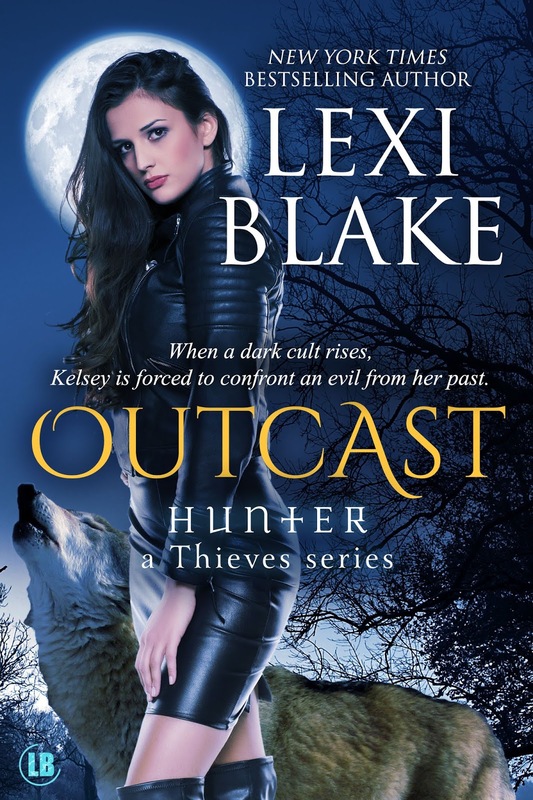 Caught between a craven wolf cult, a brutal killer, a Hell lord, and a mounting pile of bodies, Kelsey is going to have her work cut out for her. But if she can solve the case, she might have a chance to earn her happily ever after. Kelsey's love life has never been more complicated, Gray still can't forgive Trent for his brother's death while Trent has been exiled as punishment for what happened making him a target for anyone who wants to hurt her. She's doing her best to hold things together but she needs both of the men in her life and is desperate to find a way to bring Trent home and make peace between him and Gray. Gray's father Lord Sloane has offered her a way to make that happen but when demons are involved the only thing you can guarantee that there is going to be a catch. Still, if she agrees to hunt a werewolf who is on a killing spree in Wyoming there is a chance of getting Trent out of exile, but only if they can survive whatever trap Sloane has put in place to hurt them. Outcast makes all of the main characters face up to things that happened to them in the past, there is a lot of emotional baggage with their families but also between the three of them that they need to work through but it looks like Kelsey, Gray and Trent are finally building towards their happily ever after. There are lots of complications along the way but the future is definitely looking much brighter for all of them. 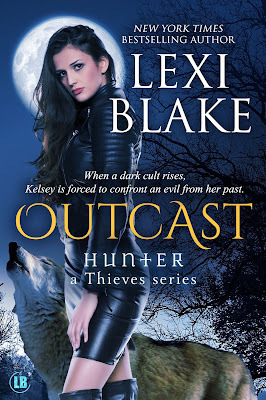 Lexi Blake is never afraid to put her characters through the wringer though so you should definitely be prepared for things to get much worse before they start to get better. There are several plots that have been building to a head for a while now, a few of which are resolved in this book but some that are only just getting started and after the way things ended I'm ridiculously excited for the next book. This was definitely my favourite instalment in Kelsey's series, we're introduced to some great new characters, we get to spend time with old favourites and the story had me hooked from beginning to end. The next book can't be ready soon enough!